Owned by Janów Podlaski Stud, Poland since 1962. 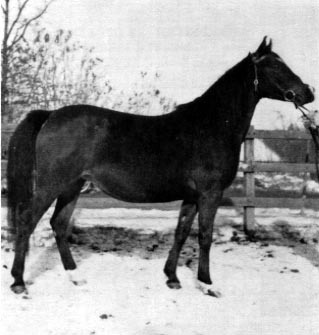 Eleonora was one of the most valuable Polish broodmares. Eleonora produced the stallions El Trypoli (1957) - used in Poland, El Czort (1966) - exported to France, Emir Said (1952) - sold at an early age to Circus Knie in Switzerland where he performed for many years. In 1972 Eric Erlandsson of Möllebackens Arabstuteri in Sweden located him (together with eight other Polish stallions) and shipped them to Sweden, and perhaps the greatest of them all - Exelsjor (1963). Exelsjor was sold to Eric Erlandsson as a yearling in 1964 and he grew up to become the most outstanding champion and sire. 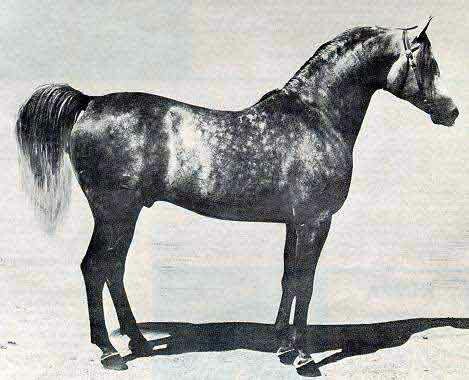 He was the Swedish National Champion Stallion in 1966. To mention a few of Exelsjor's exceptional offspring we have: Grojor (1967), Mimik (1967) - breeding stallions, Alrex (1968) - Swedish National Champion Stallion 1977 and Borexia (1968) - dam of the famous Probat. 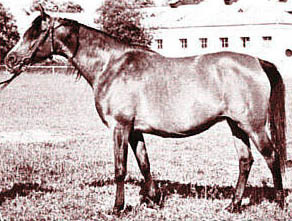 Eleonora was the dam of the excellent full sisters and brood mares Ellenai (1956) - dam of of the sires Eleuzis (1962), Elf (1963) and Elbrus (1965). 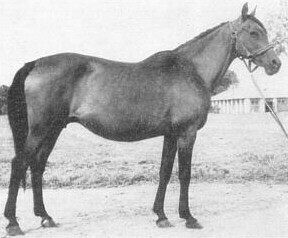 and Elwirena (1954) - dam of Engracja.